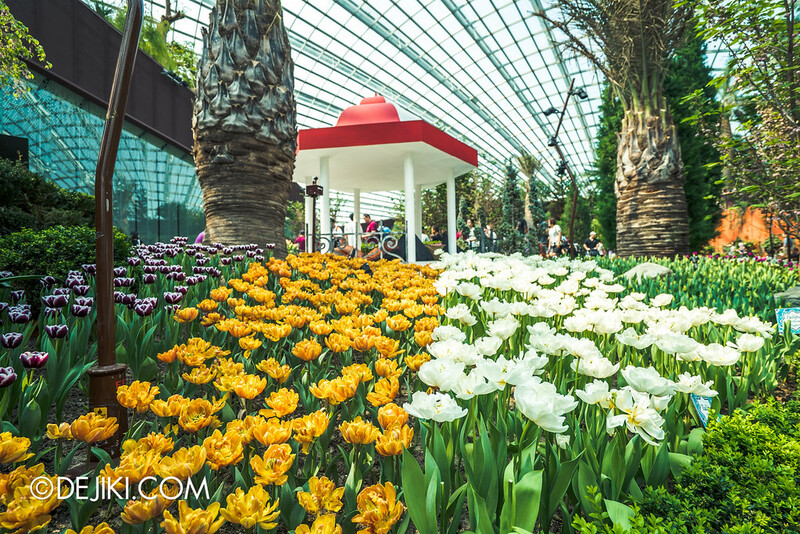 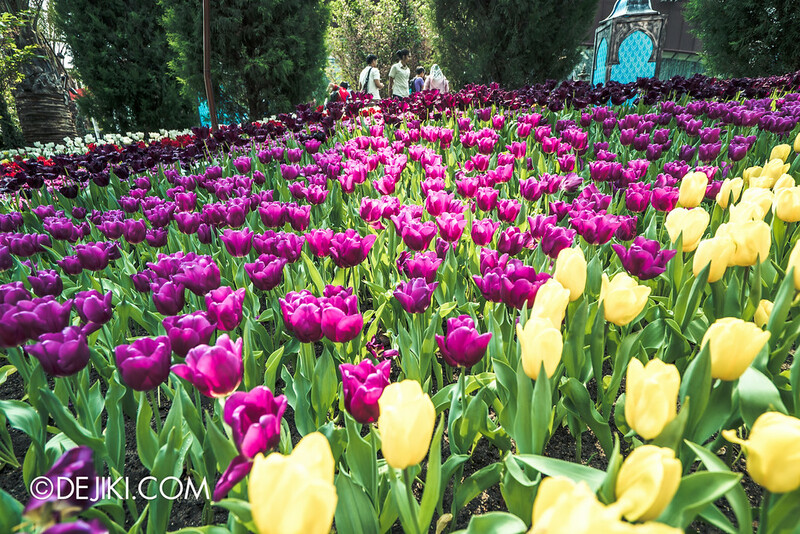 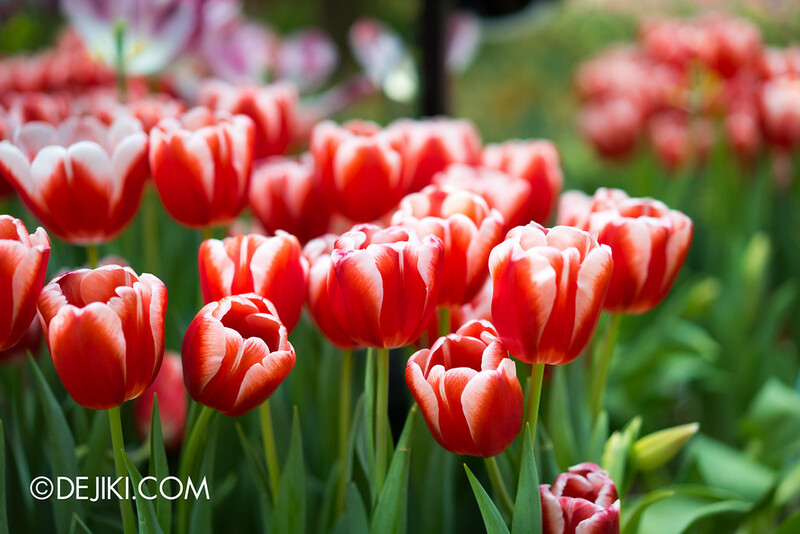 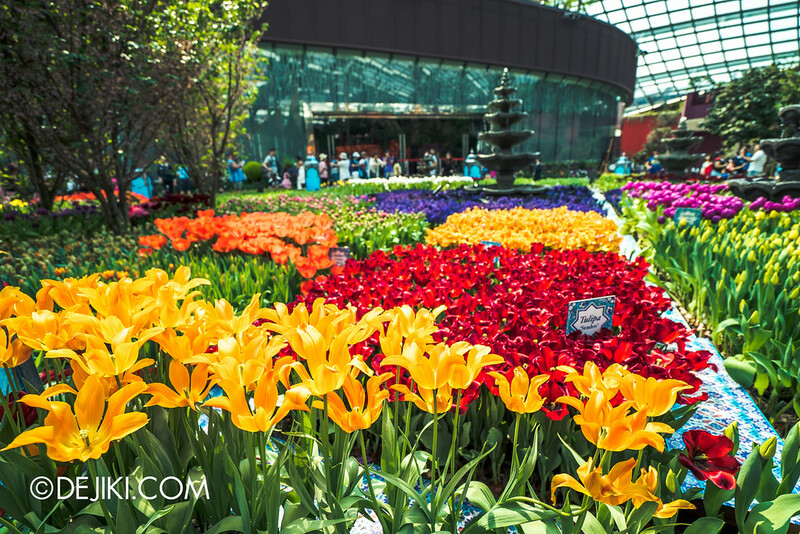 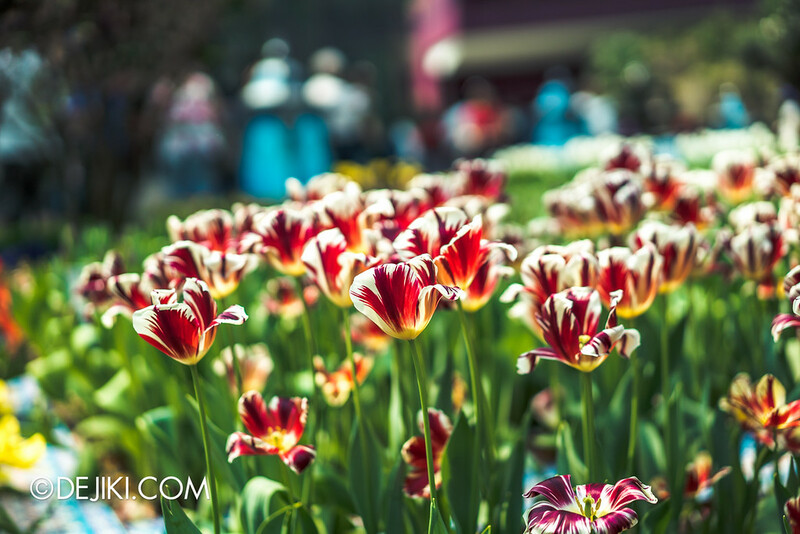 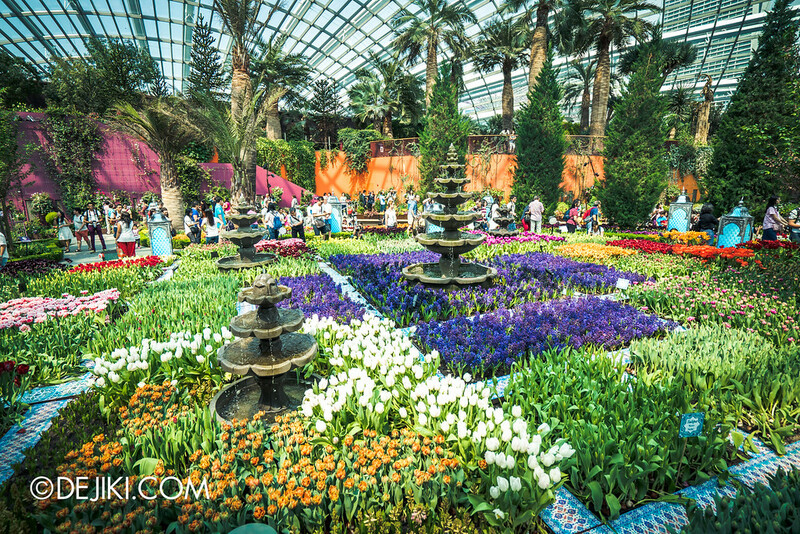 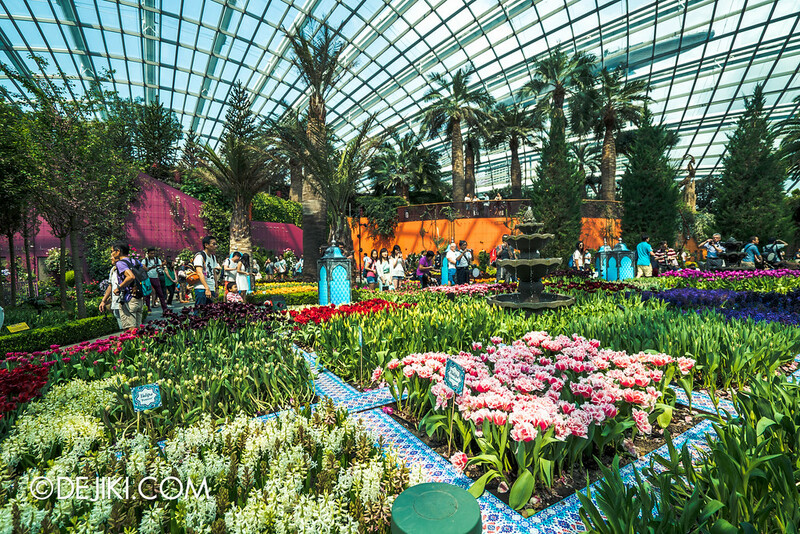 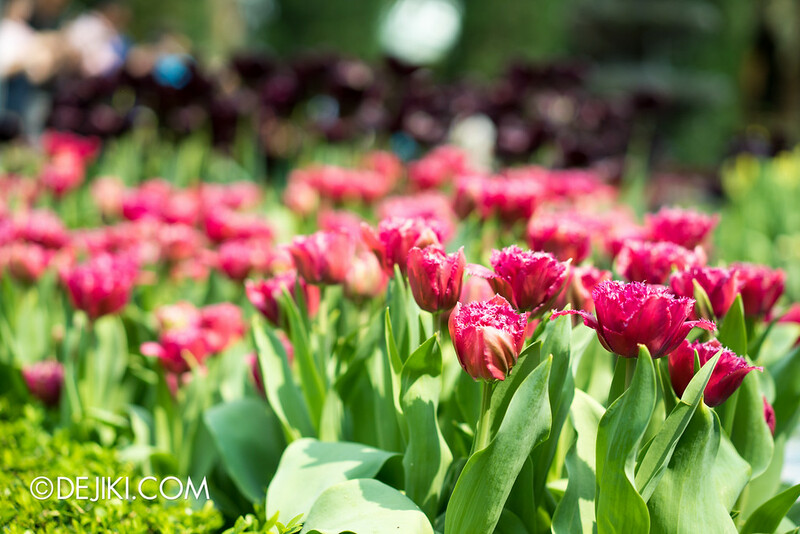 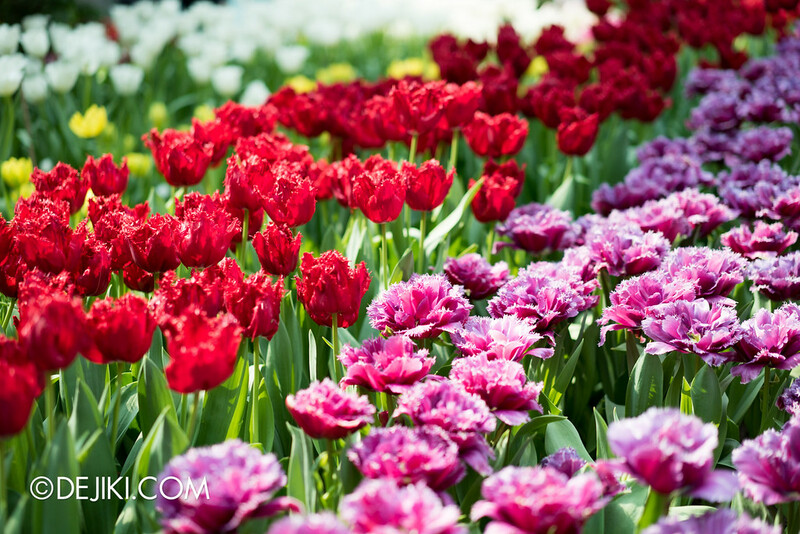 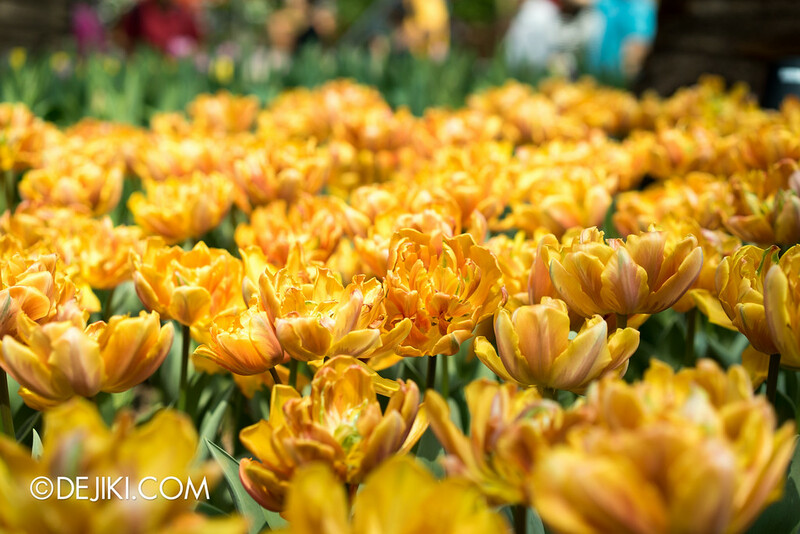 The Tulip display at Gardens by the Bay grows larger year on year. 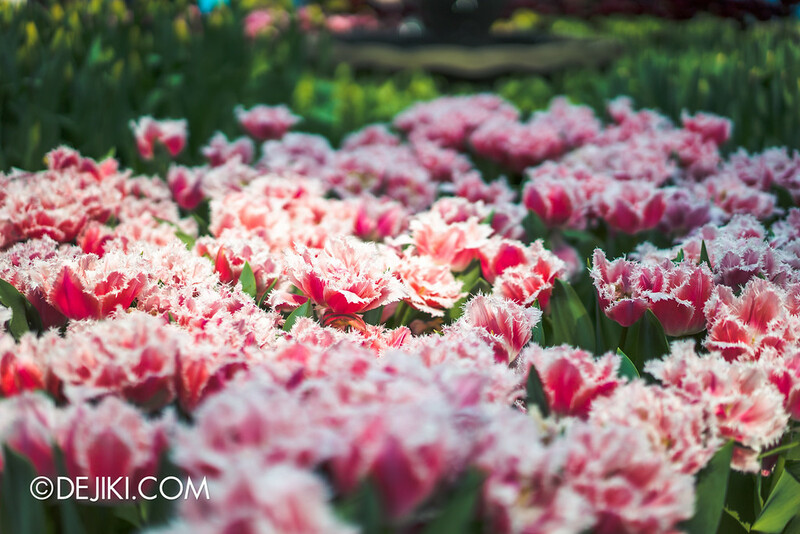 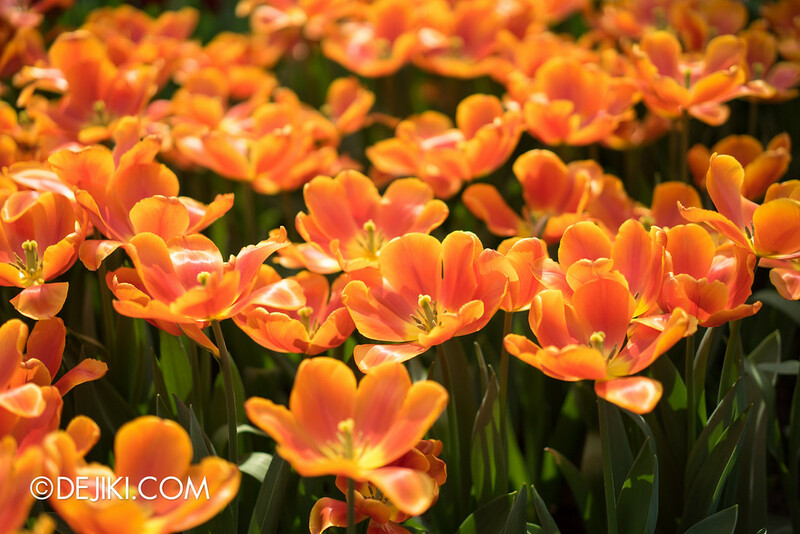 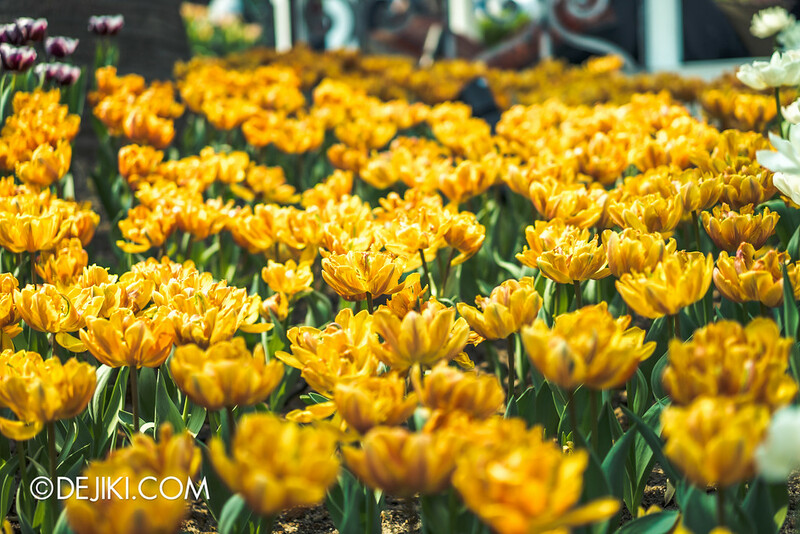 Some 60 varieties are brought in this year, including the debut of the Lily tulips at the Flower Dome, which are slender than the usual variety with its pointed long petals. 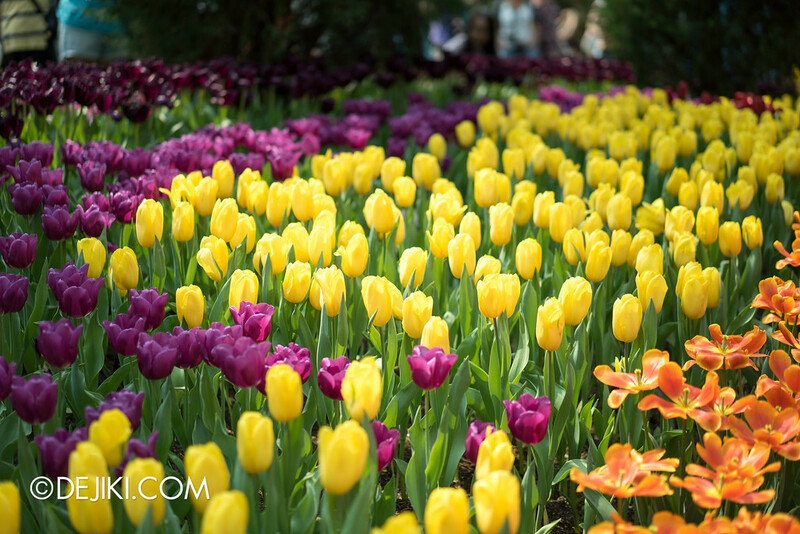 This year’s concept has a Turkish theme, because it is designed around the origins of the Tulips, that is from the Ottoman Empire in the 16th Century. 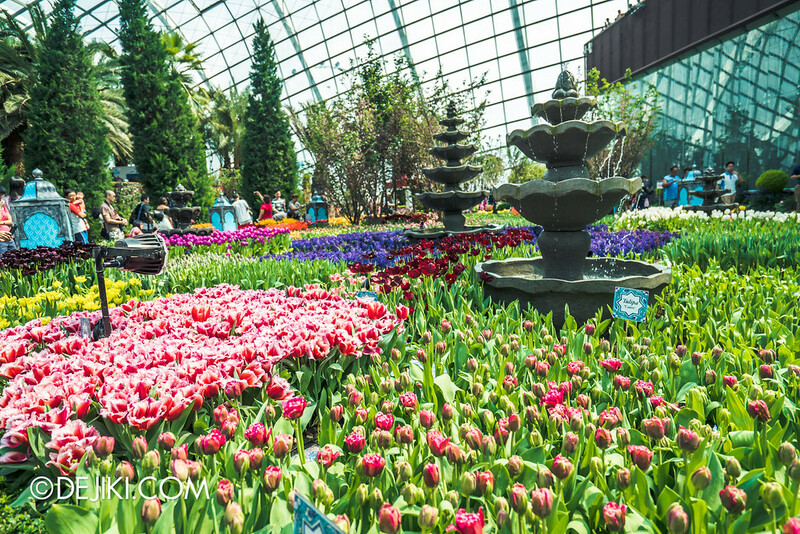 Generally, this year’s design is a great improvement from last year’s edition, which had too many props and sets that detracted from the flower fields. 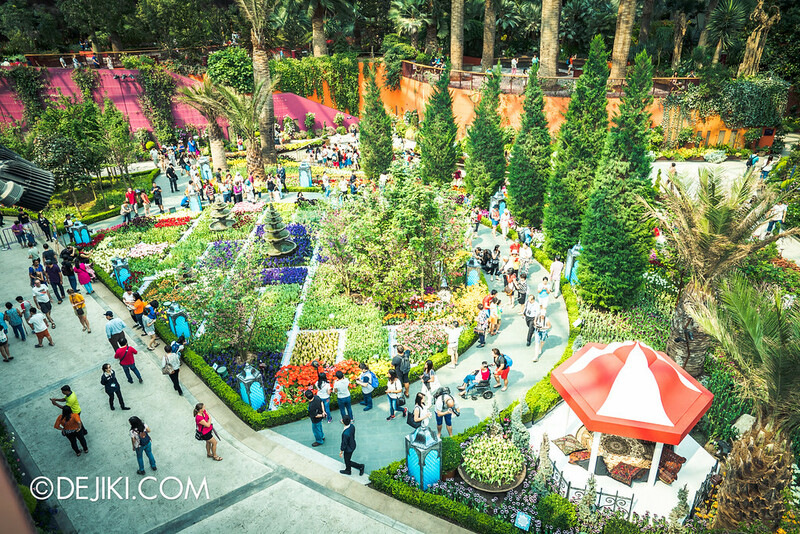 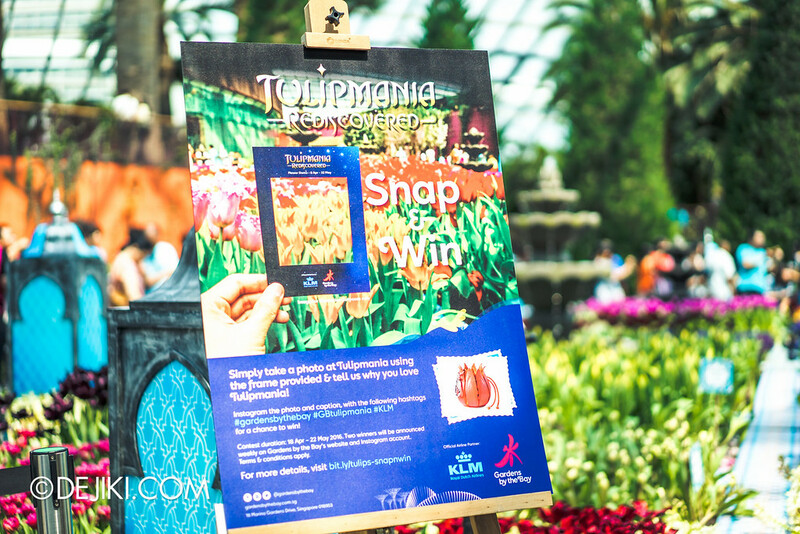 With a photo contest this year, more guests are taking photos at the Flower Dome. 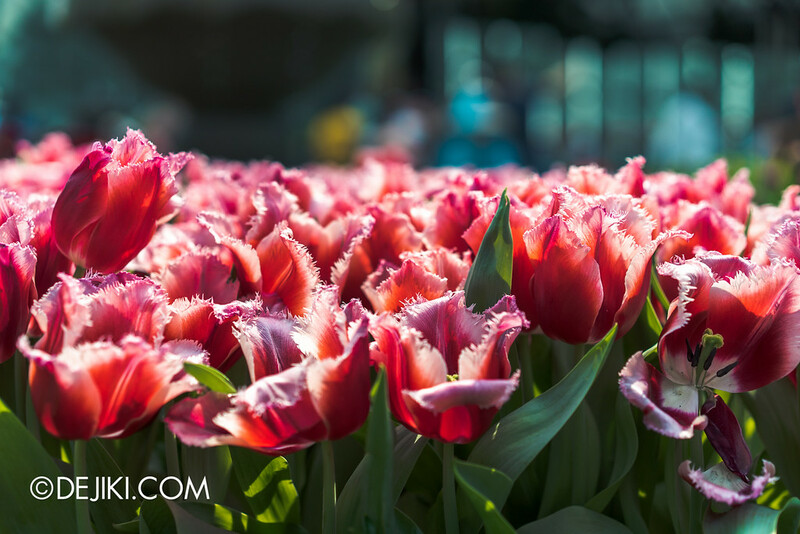 Expect moderate crowds even if you arrive in the earlier hours. 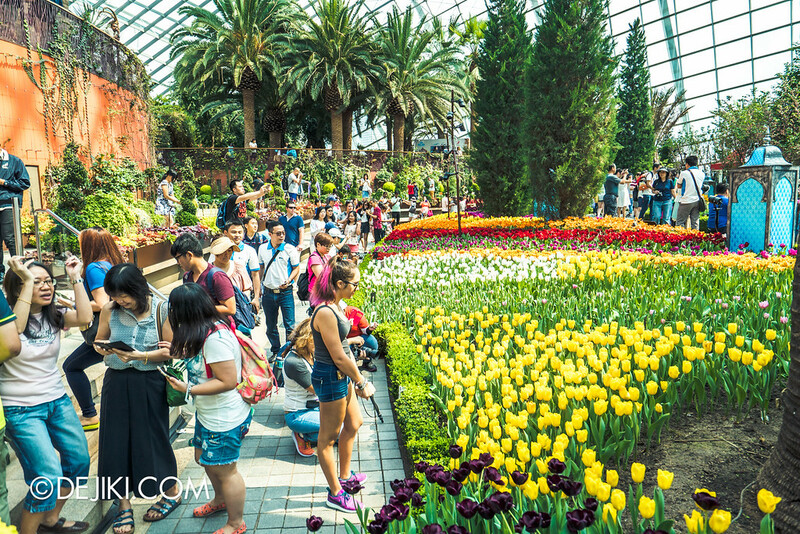 Barriers have been set up at the Flower Dome to direct the flow of guests – it’s one way traffic at certain ‘checkpoints’ to ensure that all guests can get a good experience. 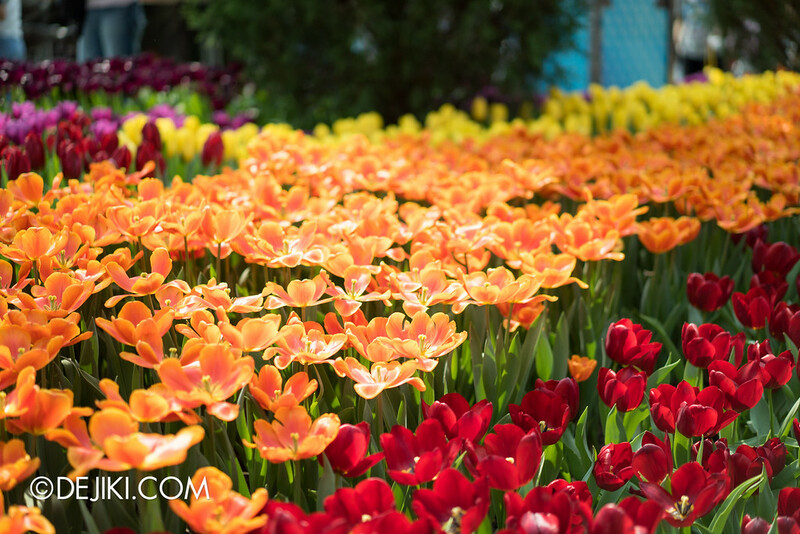 There really is a lot more varieties this year, and due to the different blooming periods, you’re unlikely to see everything in a single visit. 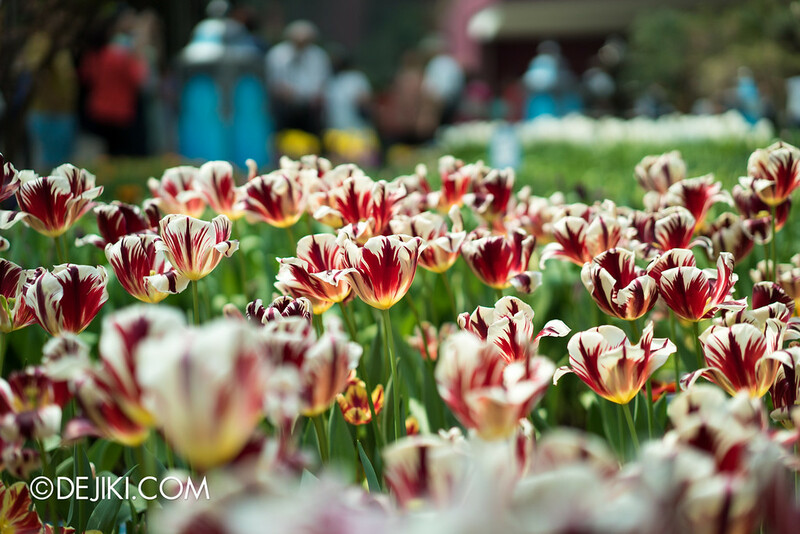 But most should be in bloom. 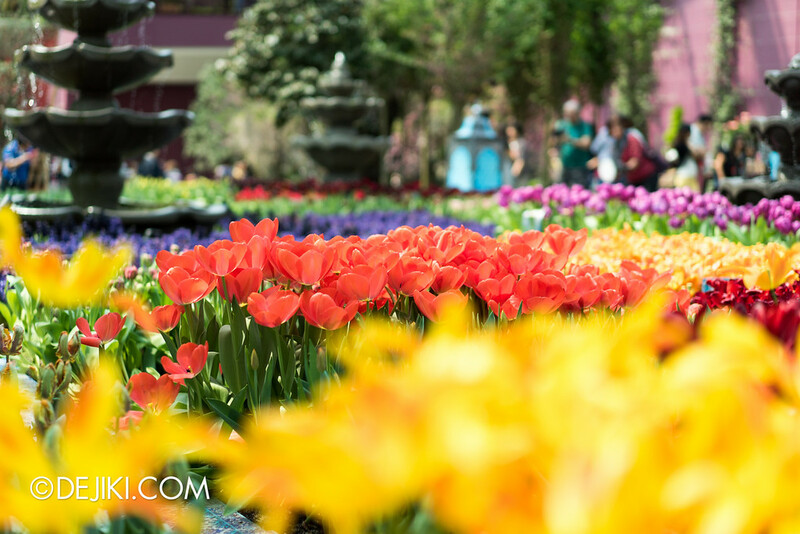 I prefer how the Gardens planted the tulips this year. 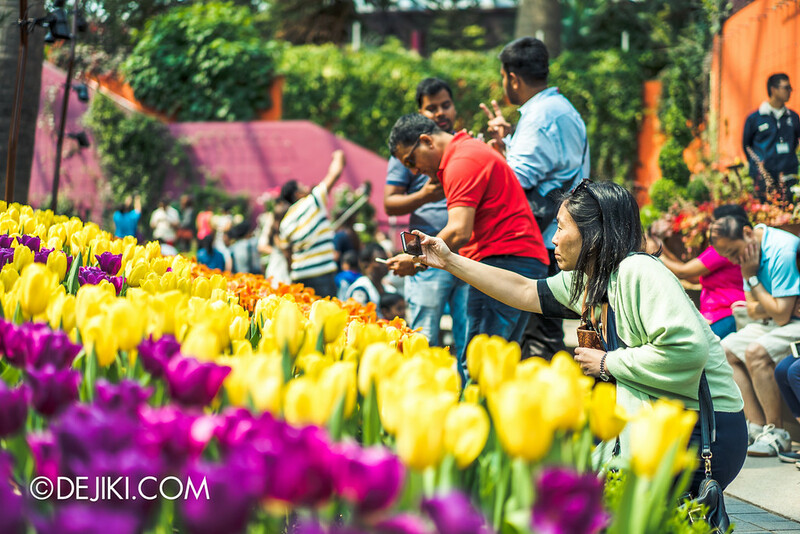 It’s easier to take photos of a variety in a single photo. 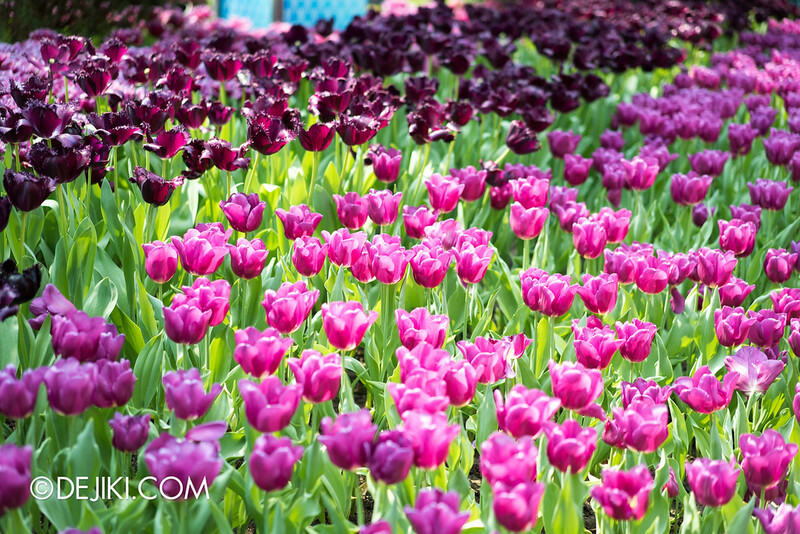 One of the nicer tulips to photograph: The Grand Perfection. 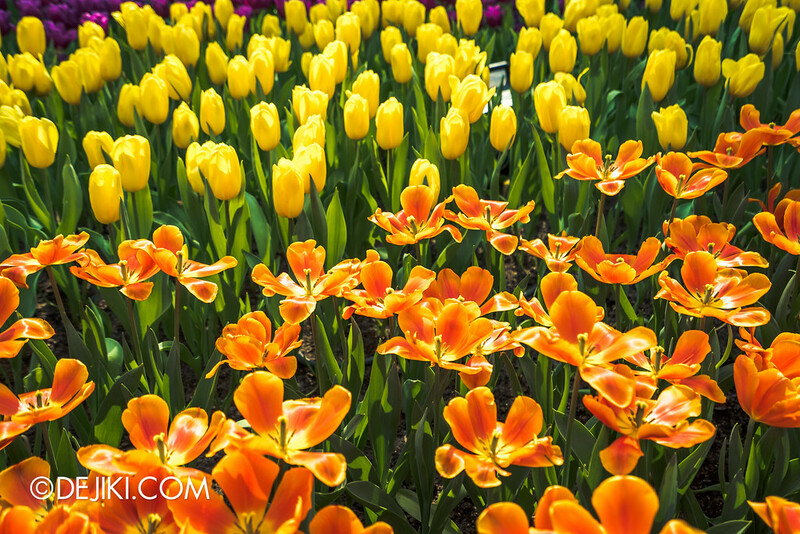 The touch of yellow at the bottom gives the blooms a fiery underglow.